Great work can only come from great partnerships. At Midshire Communications Limited, we offer a wide selection of quality and cost effective digital office printers, copiers & business software solutions for businesses in the UK. To do so, we partner with many different manufacturers, resellers, and service providers to provide fully-managed print solutions that meet the business needs of our customers. To find out more about our partnerships, see below or simply contact us. 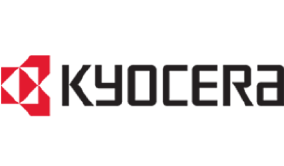 Kyocera is one of the world’s largest manufacturers and leading providers of document imaging devices, including network-ready digital multi-function copiers, laser printers, colour copiers/printers, digital laser facsimiles, wide format imaging devices, network management and print solutions. Kyocera dedicates its corporate resources to three key areas: Information and Communications, Environmental Preservation and Quality of Life. As they grow steadily in each area, creating value through diversification, they hope to contribute to the advancement of society and humankind. 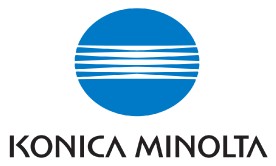 Konica Minolta Business Solutions is one of the UK’s leading document solutions companies, providing cutting-edge business solutions in digital printers and copiers. By integrating the strengths of the two companies – Konica’s outstanding ability in medium to high-speed print devices and polymerised toner technology with Konica Minolta’s comprehensive development and sales strength in colour products – they are able to offer customers a wider choice through an enhanced product range and innovative new product developments resulting from the integration of a wealth of experience in research and development. The leading innovator in wide format printing and image capture technology. KIP is a major provider of wide format digital solutions for the architectural, engineering and manufacturing industries – solutions that deliver efficient, dependable, consistently high quality performance. 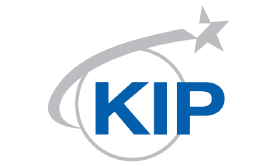 Discover award-winning KIP imaging technologies, designed to enhance the operations of all KIP digital printers and scanning systems. Discover the reasons why so many professionals rely on the performance and value of KIP products to meet the ever increasing demand for fast, high quality and cost effective wide format document reproduction.